Constitutionally Canadian | A Vancouver lawyer's musings on the Canadian Constitution. A Vancouver lawyer's musings on the Canadian Constitution. On April 19, 2018, in R. v. Comeau, 2018 SCC 15, the Supreme Court of Canada ruled that New Brunswick was within its rights to control the flow of beer across its provincial borders: unrestrained interprovincial free trade in Canada (at least for beer) is still a pipedream. But imbedded in the Court’s judgment were seeds that, properly fertilized and irrigated, may well grow into a more robust protection of economic union. Mr. Comeau had decided that he wanted to bring some cheaper Quebec beer and other alcohol across the Québec/New Brunswick border. The police in New Brunswick were lying in wait for him and charged him with a violation of the New Brunswick Liquor Control Act. At trial, he challenged the constitutionality of s. 134(b) of the Liquor Control Act, arguing that it contravened s. 121 of the Constitution Act, 1867. 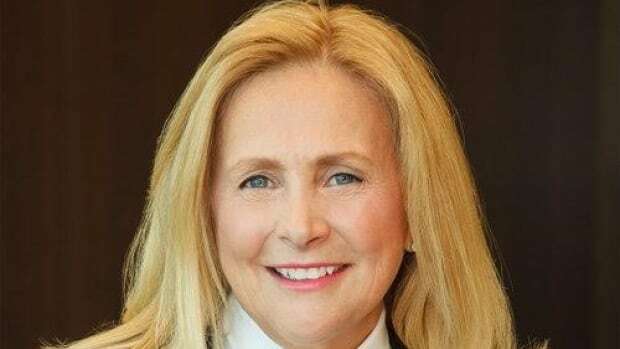 Today, the Prime Minister announced that his pick for the next justice of the Supreme Court of Canada is Sheilah Martin, currently a member of the Alberta Court of Appeal. If approved, Justice Martin will replace retiring Chief Justice Beverly McLachlin. It is hard to argue with Justice Martin’s credentials. Fluently bilingual. Schooled in both the common law and civil law traditions. Over twenty-two years of being a judge. A former dean of the University of Calgary Law School. Her appointment will ensure that the Court’s female judges remain four of the nine justices. She is eminently qualified to serve on the Court and we should all join in congratulating Justice Martin on having been selected by the Prime Minister for this most significant role. Last week, the Court of Appeal for British Columbia overturned an injunctive order of the Supreme Court that had required a film-maker to remove certain segments of his film because they had been filmed in the Vancouver Aquarium subject to certain restrictive conditions and then used in the film without the Aquarium’s consent. The film sought to advance the case that cetaceans ought not to be kept in captivity, a thesis that ran counter to the Aquarium’s business objectives. In reversing the Supreme Court, the appellate court called upon the Charter and its protection of freedom of expression to justify its decision. To me, what was interesting about this decision (Vancouver Aquarium Marine Science Centre v. Charbonneau, 2017 BCCA 395) was the fact that the Court used the Charter to limit the scope of discretionary power that the judge of first instance could exercise in issuing such an injunction. 3. Supreme Court of Canada appointments. continue to believe is Canada’s most discriminatory legislation (it is pretty hard to argue that the Indian Act’s legislative purpose was anything other than to contain and control the Indian peoples of Canada – of course, this is a conversation for a different day), I can think of no other provincial or federal legislation that is as overtly discriminatory as Bill 62. While the Act proclaims the secular nature of the organs of state of the Québec government, its central provisions deal with, of all things, face covering. And not just for the personnel of the Québec government. For anyone receiving services from the Québec government. So to be clear, the rule is that to provide or receive services, one’s face must be covered. “Rule of Law” – Is it under Siege? This last year has seen surprising developments throughout the Western world. Probably none is more surprising than the changes that have been the consequences of the election of American President Donald Trump. His daily Tweets (his preferred means of communicating White House policy it would seem) are often confusing, contradictory, and,…, well…, frankly concerning. Like many, I have found many of President Trump’s pronouncements troubling. They demonstrate to any who have the most basic comprehension of the proper functioning of western democracies that he does not understand or appreciate the importance of basic constitutional norms. Like freedom of the press. Or worse, like rule of law.